Success in real estate is based on listening to and meeting the needs of each client. 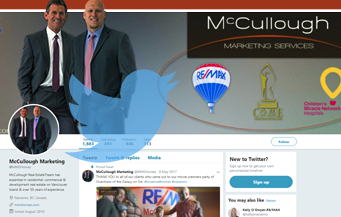 Brian’s approach to business mirrors his personal philosophy that “you have nothing in life if you do not have other people’s respect and trust.” This sentiment is shared by his son Myles, and has formed the core values for McCullough Marketing; that is why working with Brian and Myles is like working with close friends. Over 70% of their business each year comes from past clients asking Brian and Myles to assist them, a friend, family member or co-worker with their real estate needs. Below are some comments past clients have left about their experience with McCullough Marketing Services. I have worked with Brian and Myles many times over the past several years. Brian and Myles are always professional, hardworking and dedicated. They have used many creative marketing strategies to ensure the prompt sale of my home at the best price possible. I would not hesitate to use Brian and Myles for all my future real estate needs. 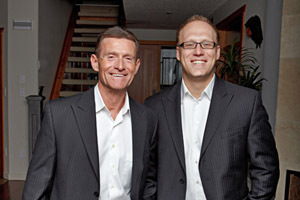 Brian and Myles are an exceptional real estate team. Thank you. Brian’s customer service and attention to detail certainly made buying and selling my home easier! He followed up with assistance after the move as well, which was unexpected. I would definitely recommend working with Brian when buying or selling a home. We are writing this letter as a letter of recommendation for Brian McCullough who recently sold our home. We have been most impressed by his representation and would like to explain why. Initially, we tried to sell our home ourselves, and had very little response, despite several open houses, and much advertising in the local paper. At our request, Brian came to our home and gave us an appraisal, and his impressions about the home. We decided to list our home with home, and he went to work immediately. He called us almost daily with “progress reports” about showings, advertising, etc. Exactly 7 days after listings it, Brian sold our home to qualified buyers who offered a price and terms we were very content with. Throughout our dealing with Brian, he has remained nothing less than first class – honest, considerate, prompt and reliable, always keeping our needs in mind. We are not exaggerating the extent to which we have been impressed by the representation he has given us, and would recommend him highly and without reservation to anyone who may be considering buying or selling a home. Myles was awesome and patient when we were looking to buy. He found us the perfect forever home for my family. and in spring he will be helping us again to sell our condo. We were very impressed with the amount of time Myles spent lining up homes for me to look at and had the timing down as well as I had one weekend to look. The customer service didn’t end once the deal went through. They still correspond and ask if there is anything they can do for us. That is the mark of a good sales person. We would recommend them to anyone. Our experience with Brian & Myles was excellent. They always made themselves available, answered all our questions and were honest and forthcoming with us. They came through for us. When others failed, they delivered. We constantly recommend their services and would not deal with anyone else. My first experience with Brian goes back to 1991 when I purchased property on Cathers Lake. Brian has been there to assist me as I moved into investment properties and I have valued his advice with improving my long-term investments with rental properties. Brian and Myles made my move to Nanaimo the easiest move ever. Thank you so much Myles for helping us find our house. It is exactly what we wanted! You have been so great, answering all of our questions and helping us through this process. You have gone over and above what we would have expected a realtor to so. Brian & Myles are two of the most professional agents I’ve done business with. Great guys! Myles recently helped us with the sale of our home and the purchase of a new one. We sold our home in 2 weeks thanks to the great marketing plan that Myles followed, giving us maximum expires in the market place. He was very realistic about values and we obtained a fair price for our home. He always conducted himself in a professional and respectful manner. We will recommend Myles because of his honesty and caring way he treats his clients.